Inika, Australia's most glamorous all-natural makeup brand, has announced the release of its new 14 SKU range of delectable certified organic eye, lip and brow liners. Inika's new liner range is a unique formulation and is one of the very few certified organic liner ranges in the world. 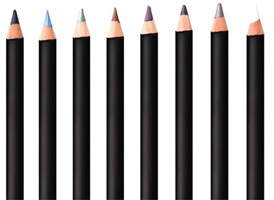 Inika's liners are formulated to glide on easily, delivering fabulous even colour and real stay-ability. 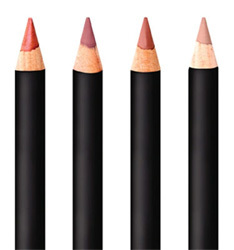 They have a rich creamy consistency unparalleled in the world of natural liners. Don't forget that each Inika liner is fitted with a complimentary sharpener lid so you never have a blunt and stubby pencil again! The majority of high quality eye, lip or brow liners contain ingredients like carmine- crushed beetle wings that give cosmetics that deep red tinge, or Polybutene- a plastic which is used because it allows products to glide on easily- both of which you do not want to put near your mouth or eyes! These are only two of the more common liner ingredients, not including synthetic colourings or preservatives. Inika are proud to be able to provide beautiful organic liners that perform as good, if not better than mainstream liners as well as offering a kaleidoscope of colours. The Inika certified organic liners are available on the Inika website and through all our retailers throughout Australia and globally for $24.95 each.